Parents want the best for their baby, both before and after birth. The goal of the Department of Pediatric Newborn Medicine at Brigham and Women’s Hospital (BWH) is for every baby to receive the best possible newborn care and every family to be fully informed, engaged, and involved in their baby's care right from the very beginning. 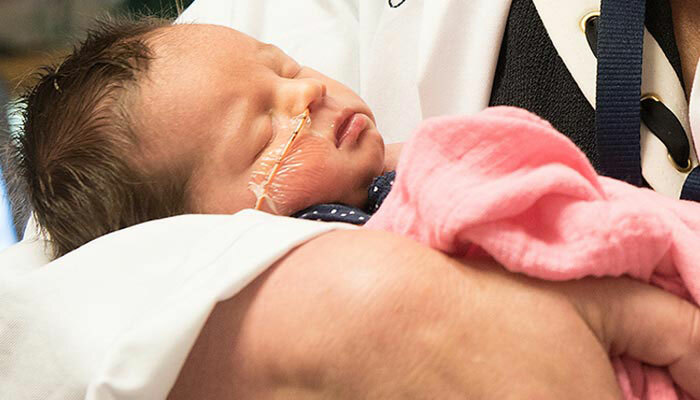 Many of our Brigham and Women's pediatric newborn medicine physicians are recognized nationally and internationally for their clinical expertise, innovative research, and educational contributions. A teaching hospital of Harvard Medical School, the Department of Pediatric Newborn Medicine also serves as a training site for residency programs affiliated with MassGeneral Hospital for Children and Boston Children’s Hospital. A 60-bed Level III NICU that provides complex, multidisciplinary care to more than 3,000 babies each year - the largest high-risk delivery service in New England. A comprehensive team-based approach to the outpatient care of infants and children at risk for developmental delay or ongoing medical problems. The very best care for every baby with the understanding that the needs and preferences of each family are unique and important.